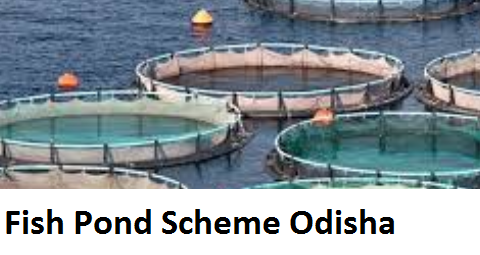 Naveen Patnaik, CM of Orissa has recently launched a scheme namely Fish Pond Scheme. This scheme aims to provide freshwater fishes in the state. Under this scheme the applicants will get subsidy in loan. This scheme will also help the farmers to encourage freshwater aquaculture across nearly 2200 hectare of land. On 27th November 2017, the Chief Minister of the state Orissa, Naveen Patnaik has launched this scheme. During the workshop organised by the Department of Fisheries and Animal Development he announced that compare to seafood freshwater aquaculture is quite low in Orissa. However inhabitants prefer freshwater fishes more for consumption. That is why it is important to encourage freshwater aquaculture in the state. Hence he has launched this scheme. Freshwater creation: Under this scheme state will provide subsidy to create additional freshwater for fisheries. Farmers will be given loan to create more water for freshwater aquaculture under this scheme. Subsidy: The subsidy will be given on the loan farmers will take for the water body. The state government will pay half of the loan amount that the farmers will take. Land: Around 2200 Hectare of land will be available under this scheme. In this vast land farmers will create water bodies for the aquaculture. Benefits: Apart from having additional water bodies the scheme will generate more employment and will increase income of the farmers. This will also increase the freshwater fish culture in the state. Implementation: The scheme will be supervised and implemented by the Fisheries Department. The officials will be responsible for identifying the eligible farmers or beneficiaries in the state. The budget allocated for the scheme is Rs. 96 Cr. According to the CM of the state, this budget will be allocated for the entire project. Under this only 50% of the total loan will be paid by the state government. Among 2200 Hectare land, each farmer will be able to get 2 Hectare land for creation of water body. Each farmer can take loans up to Rs. 8.5 Lac for the pond or creation of additional water body. Among these 2 hectares only one hectare will be subsidised. That means farmers can get subsidy on one hectare only. 50% of the total loan amount that is Rs. 4.25 Lac per hectare will be borne by the state government. The rest amount has to be paid by the applicant. If the applicant spends more than 8.5 Lac or needed more loans, the state will not pay the additional amount. Farmers can create new ponds in both hectares allotted to him. However they will get subsidy for one hectare only from the state government of Orissa. There are some other agricultural schemes that have successfully implemented in the state for the betterment of animals and agricultural areas. Firstly the milk production has increased to 54 Lac litres from 24 Lac litres in last few years. Besides that fish production has increased too. Fish production increased from 2.6 Lac tonnes to 6 Lac tonnes in the state in last few years. Apart from that egg production in poultry farms have increased 2.5 times in last few years. Every year nearly 40, 000 metric tonnes freshwater fishes are required to be imported in Orissa. The reason behind this is among 6 Lac metric tonnes fish that are produced in the state only 3.63 Lac freshwater fishes are being produced. But as mentioned inhabitants consume freshwater fishes more than sea fishes the state has to buy the additional units from other states. After implementing this scheme, state can now produce more freshwater fishes than earlier times.